If you are a woman who has been struggling with dieting and weight loss to have a slim attractive fiqure this is the course for you, because I have created this course to simulate a private hypnosis/ Hypnotherapy session with you as my client. To create this course I have broken down piece by piece an actual Hypnotic gastric band hypnotherapy session to recreate that experience of having your very own private hypnosis session that you can use as many times as you feel you need to loose weight without dieting. Enough said about that and on to what will happen for you by engaging fully in all the exercises and hypnosis session you will begin to create a whole new relationship to food and weight loss without dieting, because you will begin to feel full sooner feel healthier and even more motivated to take part in more physical actives, even if you do not like exercising you may enjoy walking or some sort of hobby or interest this is what happens when you have a healthy natural weight loss your life starts to change because you are changing without calorie counting or dieting. The great thing about the Hypnosis session that I have created for you without dieting is that you can use it as many times as you feel you need to to maintain the changes in how your body and mind begin to communicate so you can easily have a slimmer thinner you, diet free weight loss achieved with no calorie counting or dieting. Because that is what is actually happening when you create a hypnotic gastric band you become much more aware of being full sooner than you used to and by eating less your stomach begins to shrink as you start to loose weight without having dieting. 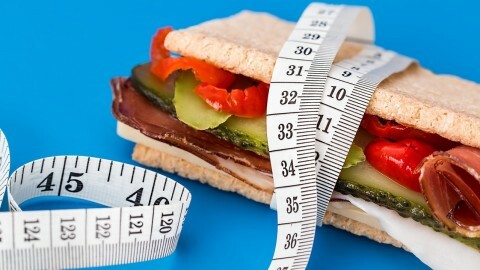 Then because you have less need of excessive calories and most importantly never having to calorie count or diet again and as your stomach gets smaller your appetite will shrink even more and this will continue until you have reached the goal you have set in your own mind with the imagery you created at the beginning of this course diet free weight loss hypnosis session. What will you learn from this course. First you are going to learn how to visualize what you want to look like everyone needs a destination as their goal. Over 18 lectures and 1.5 hours of content! Get your Free Udemy Course on Diet free: Hypnotic gastric band weight loss without dieting by clicking on this discount code.